This is a 5-part beginner’s guide to investing in cryptocurrency: part 1 covers crypto fundamentals, part 2 how to buy your first cryptocurrency, and this part 3 is about buying “altcoins,” which are alternatives to Bitcoin. In 2015, a coworker told me about a penny stock called “Atlas Resource Partners,” an oil and gas company. I bet on it and lost about a hundred bucks when the company folded months later. Fast forward to 2017. I’m staying up way past my bedtime looking up altcoins to invest in. This time, I’m making more educated bets on cryptocurrencies. If you’ve been following cryptocurrency in the news, you already know that Bitcoin is not the only game in town. In 2017 Bitcoin increased ~3300%. But there were other coins that ran circles around Bitcoin in terms of investment performance, from Ripple (35,564%) to Verge (1,171,479%). These are not typos, and yes I feel the FOMO too. How do you get your hands on these “altcoins”? Just like the stock market, there’s an ever-growing list of cryptocurrencies to invest in. 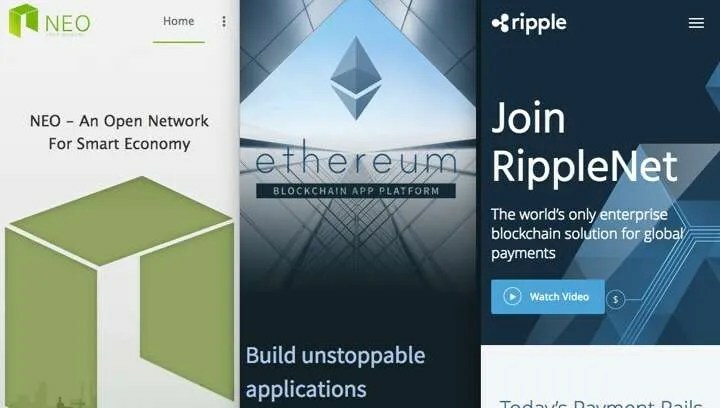 Ripple (XRP) makes transactions for banks way cheaper + faster. and thousands (not a typo) of other coins! Investing in altcoins, like any other speculative activity, requires you to do your own research (“DYOR”). Let’s start with the two-hit combo of CoinMarketCap + Reddit. Crypto traders obsessively check CoinMarketCap for the latest crypto prices and stats. By default, CMC gets its name by ranking each crypto by marketcap, which is calculated by current price X circulating supply. If I issue a currency called TACO and there’s 1 million of them, and the price is $1, the market cap is $1 million. If the price increases to $2 per TACO, the market cap is $2 million. If you’re interested in my fake cryptocurrency, we can taco bout it. Bitcoin has been in the #1 spot all this time because it’s the first and most popular cryptocurrency. For better or worse, the general public thinks Bitcoin IS cryptocurrency, just like how many of us think Google IS the internet. Go through CMC and click on some coins in the top 20 to get more detailed info. They provide each coin’s historical performance, supply, volume, and links to each website. Very similar to stock websites. If you’re interested in a crypto, it’s worth perusing through their website and reading the currency’s whitepaper. Here’s the original whitepaper of Bitcoin, written under the enigmatic pseudonym Satoshi Nakamoto. For discussion, Reddit contains some of the most active cryptocurrency communities. Most coins you’re curious about will have a dedicated subreddit, e.g. r/Ethereum and r/IOTA. And there’s always r/Cryptocurrency and r/Altcoin for more general talk. Many teams behind cryptos have also set up chat channels on Telegram, Slack, Discord or even Facebook groups. If you think studying every coin is overwhelming, you’re right. The crypto craze has even sprouted up a cottage industry just for analyzing crypto markets. For that reason, many investors stick to coins in the top 10, top 20, or even top 100 in market cap. There are also investors who intentionally seek out “low cap” coins in hopes that they’ll get incredible gains. Let’s say you hear about a new crypto on r/Cryptocurrency or read it on the popular news site Cointelegraph. You get interested in investing. How do you buy it? 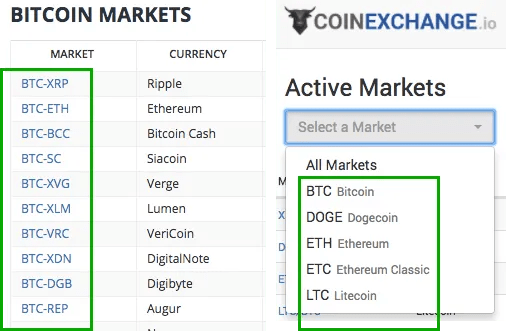 This is one of the frustrating things about crypto in the early days: markets are fragmented, and exchanges carry different cryptos. Sometimes just to invest in a more obscure crypto, you have to open up an account on an exchange because it’s one of the few exchanges that lists it. 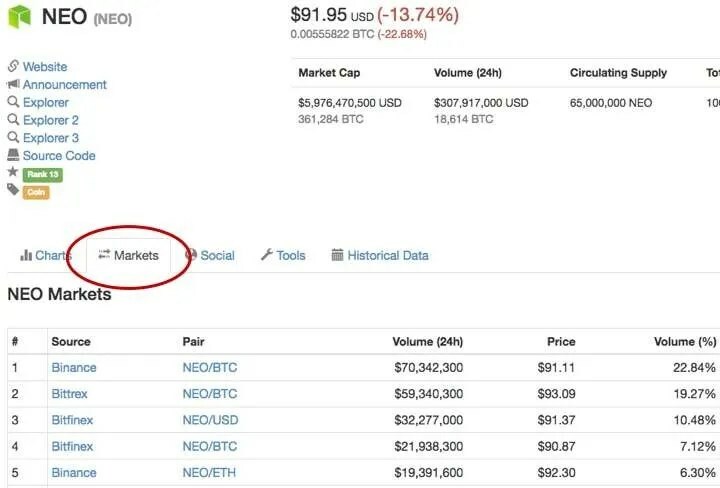 These two exchanges are amongst the most reputable for trading altcoins, and have many of the top 100 coins on CoinMarketCap. There’s just one catch – you’ll need Bitcoin or Ethereum first, transfer it to one of these altcoin exchanges, then trade your BTC or ETH for the alt you want to buy. Most altcoin exchanges only offer crypto-to-crypto trades, not fiat-to-crypto trades. This means that you need to first transfer a crypto, typically Bitcoin or Ethereum, to the altcoin exchange first. (In the investment world “fiat” just refers to national currencies like the US Dollar). Transfer your BTC or ETH to an altcoin exchange like Binance. Find your desired crypto, exchange your BTC or ETH for it. Getting Bitcoin and Ether is so important because they have the most trading pairs. Trading pairs like you see above, “BTC-XRP” or “ETH/IOTA” means that you’re able to buy altcoins with these cryptocurrencies. One of the things that exchanges are working on are integrating “fiat gateways,” meaning you can buy the altcoins you want directly with normal currencies (USD, EUR). If you don’t mind the limited options, use Kraken for direct fiat trades to buy coins like Ripple (XRP), Monero (XMR) and Dash. Only use exchanges that are approved for your country of residence. Example: Do NOT use Bitfinex if you’re a US customer. You can technically sign up, but they can freeze/seize your account any time. Use an alternative email address not associated with your main email accounts. Can be as easy as creating another Gmail accounted dedicated for crypto. Do not use Gmail’s “+” feature in your email address, like [email protected] Some exchanges see this as potential abuse in opening up multiple accounts, and Binance has recently locked out many users from accessing their accounts because of this. Enable Two Factor Authorization (2FA) on all accounts. This requires you to log in not only with your email+password, but also a time-sensitive code generated on a mobile app like Authy or Google Authenticator (iOS, Android). Test SMALL transactions first. Transferring BTC from GDAX to Binance? Don’t send 0.5 BTC. Send 0.01 BTC (or whatever is the minimum the receiving exchange accepts). Testing small transactions from wallet to wallet mitigates loss if you use the wrong address when sending. Take screenshots during each transaction. With each step of the transaction, take a screen shot. On Mac it’s easy: CMD+SHIFT+3. This is a good habit to get into in case an exchange messes up your order, you have visual proof of the transactions you make. All of this can get overwhelming. If you’re the type of person who gets stressed opening multiple credit cards, this game might not be for you. But if you what if you want to take a moonshot and invest in obscure, small market cap altcoins that may explode in value? 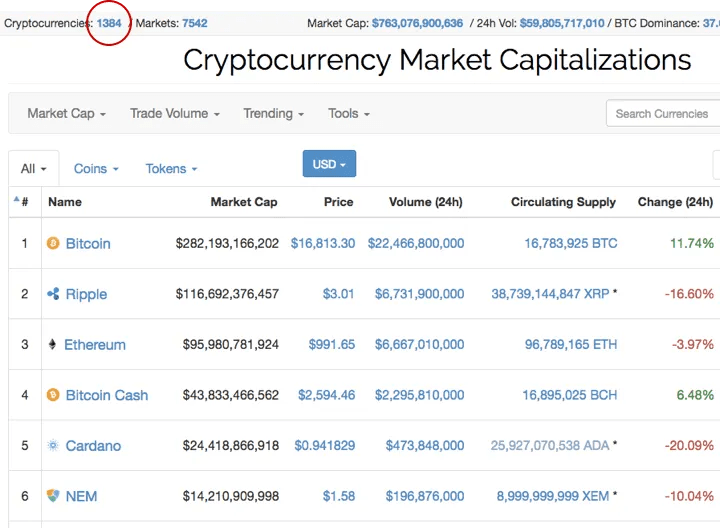 The process is the same as described earlier: find your information on CoinMarketCap/Reddit/wherever, search for that coin on CMC, then click on “Markets” to see where you can buy it. Out of all the exchanges I’ve seen, these the ones that consistently provide the most options and trading pairs are: Binance, Kucoin, Coss, Cryptopia and Coinexchange. Most of them include very low-cap or newly listed coins like B3Coin or LindaCoin. They also come with their own level of risk, like buggy interfaces or slow platforms. Exchanges can’t handle the # of new users and registrations, sites become slow or go offline for maintenance. Having multiple crypto accounts gives you the benefit of backup (what if one exchange goes under maintnenace?) and more flexibility to move your money around. Remember that buying altcoins is optional. You can do just fine by sticking to Coinbase + GDAX as described in my previous guide.